The San Luis Obispo County Board of Supervisors voted unanimously Tuesday to move ahead with plans to pipe water from the Diablo Canyon desalination plant to a South County water system. The board authorized spending $900,000 on project planning and permitting work. 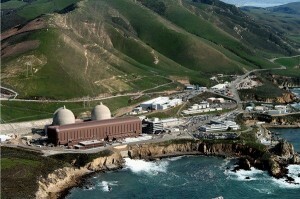 County officials plan to build a pipeline from Diablo Canyon to Avila Beach. That pipeline would connect to an existing pipeline to Lopez Lake. At most, the project would cost $36.4 million, according to a county staff report. Planners expect it will take two years to complete the project. If the Diablo Canyon desalination plant is operating at maximum capacity, it could produce as much as 1,300 acre-feet of water for South County residents. County staff plan to negotiate an agreement with Pacific Gas and Electric Company that would secure the water source for about 30 years. On Tuesday, board members said South County needs another source of water and more diversification of its supply. Public speakers were split for and against the project. Some said the desalination project is too expensive, does not secure a long-term water supply and will harm sea life. Others said it is an important step toward diversifying the water supply, and the county needs to do more than just conserve water. You don’t need to be incredibly smart and savvy to realize your government does not care if you are dead or alive. Actions speak so much louder than words. Should it be the government’s job to care if one is alive or dead? That seems a bit of an over-reach. Do you feel that government should be so intimately involved in your life from cradle to grave? And if so, why? 1300 acre feet. Is that per day, month, year or lifetime of the plant? That’s a very important fact which is missing from the article. Historically, acre-foot is a per-year measurement, as one (1) acre-foot is over 325,000 gallons. So if this is continued, then the plant will produce 423,608,900 gallons a year. That is, if the historical use is maintained. Which is to say, not a whole lot by comparison (Carlsbad’s desal plant does 50M a day, for instance). However, for a non-dedicated desalination plant (i.e. it really is more of an “add on” or second thought to adapt – quite brilliant, btw, but not a full-on dedicated plant with ideal conditions) that amount is quite respectable. I see this as PG&E’s way of remaining more positive and relevant in the public’s eye while all this anti-nuke stuff is going on. They were well-prepared, PR-wise, for the masses. Good move, PG&E – money well spent. Now, will we see through this for what it is? I know those in the government, salivating to spend $900,000 of your money will not or will choose not to. Haha! Check your calendars. It’s not April Fool’s Day yet. This has to be a joke, and the story was mistakenly reported today. $900,000 !! just on project planning and permitting work. so almost a million before any work starts. hey if the county wants the water, how ’bout waiving the fees? Another nutty decision. If it takes 2 years to build the $37 million system, and Diablo closes in 2024, which it surely will, that’s more than $6 million a year for a measly 1300 acre feet of water. SLO just got a bit less than that from Naci for a couple hundred thousand per year. So, who’s the fool here? And that’s just for the capital costs of this system — add on more for pumping and operating. We’re saved! Let’s start building more houses! Let’s start taking longer showers! But what happens if the Plant Shuts down….do we lose that $36Million dollar desal plant, OR is this just a back door way to keep Diablo Canyon and it’s 10% of the State power in operation? We need water…we need Power….I love it. That’s just crazy from the No-Growthers.